This one pot wonder is simply, wonderful. Having a vegetarian hubby, we have a lot of lasagna for diner. It’s easy to make vegetarian, the kids love it, AND it’s fun to switch up the different fillings to make new and different kinds of lasagnas. Anywho, the other night while I was making my lasagna sauce, it HIT me! This would make an awesome soup! 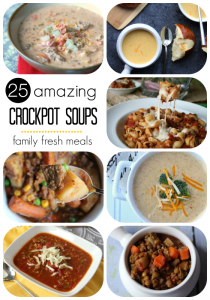 And what better way to cook a soup, than in the crockpot. Score! This one pot meal will be in our winter menu rotation, for sure! NOTE about beef: The pictured meat is the vegetarian crumble… that is why it looks browned. You do NOT have to brown the beef before putting into the crock pot. I did not pre-cook the meat first. If you are using a higher fat ground beef (like an 80/20) you might want to precook to drain off some of the fat. But if you don’t mind the extra fat…that isn’t even necessary, just a suggestion. If you like your soup to have more liquid, feel free to add some extra broth and or water when you add the noodles. I served our soup with some shredded cheese. YUM! 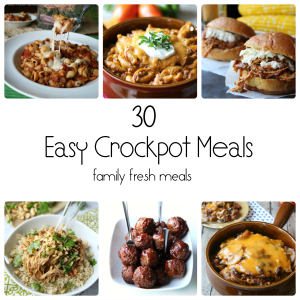 Need MORE yummy family approved crockpot meals? I’ve got a ton more! Just click on the images below! Do you love lasagna? 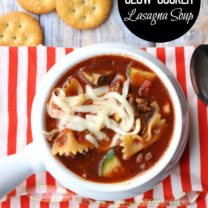 Then you are going to love this one pot Crockpot Lasagna Soup recipe. It literally is a one pot wonder! NOTE about beef: The pictured meet is the vegetarian crumble... that is why it looks browned. You do NOT have to brown the beef before putting into the crock pot. I did not pre-cook the meat first. If you are using a higher fat ground beef (like an 80/20) you might want to precook to drain off some of the fat. But if you don’t mind the extra fat…that isn’t even necessary, just a suggestion. Corey this looks delicious! 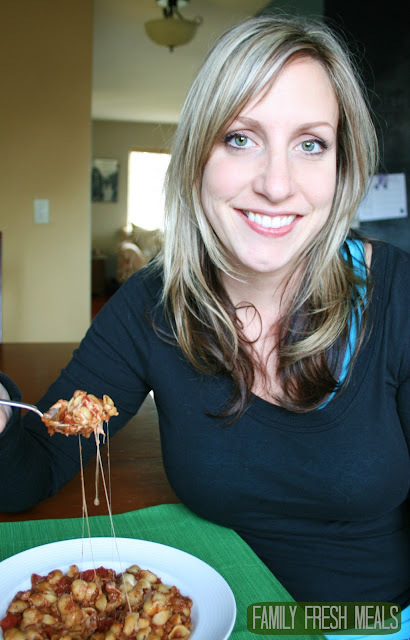 My hubby LOVES lasagna so we’ll need to try this! 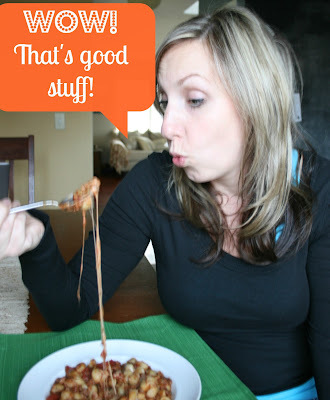 How many calories are in Crock Pot Lasagne Soup? 409 calories per serving per My Fitness Pal recipe exchange. 409 CALORIES PER SERVING, BUT FOR HOW MANY SERVINGS IS THAT? tHE RECIPE SAYS 6-8. wHEN YOU PUT IT INTO MY FITNESS PAL, HOW MANY SERVINGS WAS THE RECIPE TO EQUAL 409 CALORIES? Amazing recipe! For more veggies, I added one small zucchini (diced), 1 cup of fresh mushrooms (sliced), 2 handfuls of spinach (chopped), reduced to half cup of water with pasta as well as substituted dried parsley for 1.5 tsp of oregano (didn’t have parsley). Delicious! Will definitely be making this recipe again! Thank you! Did you put the spinach in at the end or the entire time it was cooking? And lastly which I HIGHLY recommend, add one spoonfull of ricotta cheese to each bowl when you serve, this gives the soup that richer, creamy taste that really reminds me of Lasagna. That being said, thank you so much for posting this recipe that my whole family adores! I love your addition of mushrooms 🙂 YUM! While the final product is tasty, it’s just a sauce. I’m not at all sure how this can be called lasagna soup. It doesn’t taste like lasagna at all. 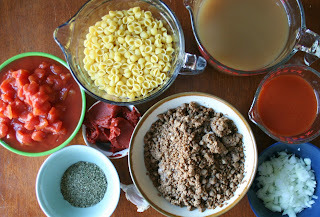 It is a basic meat sauce with pasta. I made it exactly as written and I kept checking the ingredients to see if there was anything I missed to make it taste like lasagna. I didn’t. It’s just sauce. So I’d say it’s a decent recipe, just change the name of it. Lasagna usually has lots of cheeses: cottage cheese, ricotta, mozzarella, parmesan. You could add cheeses to this, but then it would be a lot thicker, like a casserole, not a soup. If you want it to be more lasagna-like, try adding 1 cup of cottage cheese and 1 cup of ricotta right before you add the noodles and then sprinkling mozzarella or parmesan on each bowl when you serve it. Or leave out the other cheeses and just sprinkle mozzarella on when you serve it. On a side note: this recipe is exactly how I make goulash, except I add a lot of veggies at the start. My goulash usually has Lima beans, carrots, peas or whatever I have on hand. Do you add the juice in the can of tomatoes? Or do you drain it? Im planning on making it tomorrow, looking forward to it! Love the picks, haha ~ Looks amazing girl! 🙂 Thank you Keeley 🙂 Would this be hard to make gluten free? I made a gf version last night and everyone liked it. I didn’t have time to do the crockpot so I did it on the stove. First browned ground chicken and onions. Then added tomatoes, paste, garlic, broth, spices, etc. Cooked for a bit then added some quinoa shell pasta and cooked until they were finished through. I don’t think I had to add any additional water. Do you brown the ground beef before you put it in the crockpot? Nope. Just throw it in there. Mine looks browned in the picture, because I used vegetarian crumbles for the batch I pictured. So I made it just as the directions said and didn’t Brown the meat. In the end my meat was still pinkish in the middle. Why? Did you break the meat up at all before putting it in? There’s no way your meat will still be pink if you cook it for 7-8 hours. You can cook a whole roast in the Crockpot and it will be completely done in that time. Maybe something is wrong with your crockpot? Can you please add a link for the veggie crumble? I’d like to try that option for my vegetarian daughter, but am unable figure out what it is our how to make it. I am so glad you loved it! As the recipe stands, it is a pretty hardy soup, so maybe you didn’t do anything wrong. If you like a soupier soup, just add some extra broth or water when you put in the noodles 🙂 Right now you should add 1 cup of water with the noodles…next time do 2 cups or an extra cup of broth. Make sense? We just moved and I can’t find my crock pot! HELP!! Has anyone made this without? Also, do you “crumble” the meat in there, or just add the lump of it raw, and it falls apart while cooking? 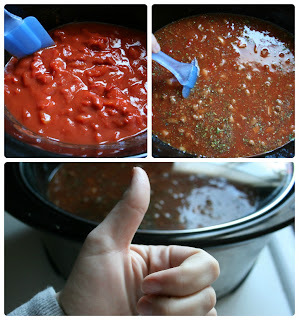 If you are going to do this recipe stove-top instead of the crockpot…this is what I would do. I would cook the noodles separate and set aside.Next, Saute the onion and garlic until soften. The add beef and cooked until browned. In a large pot, combine all the ingredients except the noodles. Bring to a boil and then simmer on low for 30-40 minutes, stirring every once and awhile. The last 10 minutes, add the noodles. Hope that helps! Hi. What is the answer to the other part of her question. Do you crumble up the raw hamburger when you put it in or just plop it in there and it crumbles as it cooks? Thanks! Nevermind, I saw my answer further down! Thanks! Corey, I did the stove-top method as you suggested. Perfection! Gracias for a great go-to recipe. So glad you loved it Phyllis!! Just to clarify…you put the noodles in uncooked, correct? 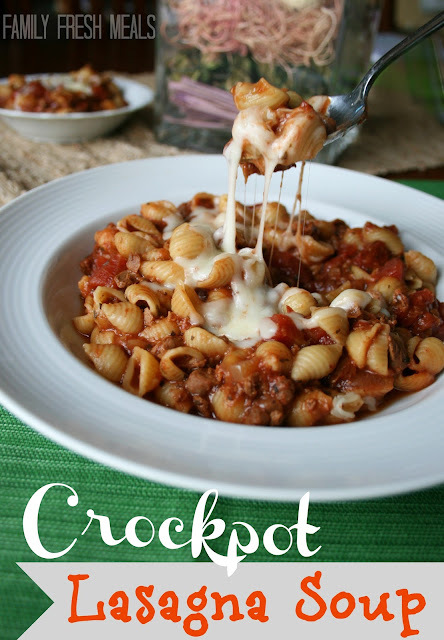 Since every other crockpot recipe you’ve featured has been incorporated into our family’s favorites, this one is a no brainer to try next. Looks fantastic! Yum!! Oh yay Sarah! I hope you love it! 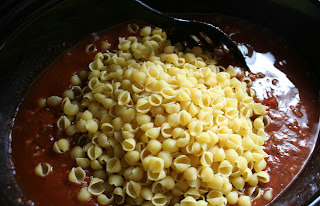 can you just use a pasta sauce along with the beef broth and v-8 or does the paste, tomato’s and juice change the thickness? hmmmm. I have never tried it this way, but I don’ think it would change it that much. Maybe add an extra cup of water to it if it seems too thick. I would LOVE to hear how it turns out for you. I am sure the pasta sauce will work fine. Just watch your thickness 🙂 Hope that helps! Awe… thanks so much Christine! 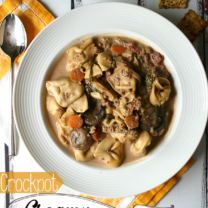 XO Crockpot LOVE! Making this today….hope it tastes as good as it smells!!!! How did it turn out?! I hope you loved it Krista! I just pinned this, it’s going on our dinner menu next week!! Oh good Liz! I am so glad you loved it. That sounds like a treat idea 🙂 The more cheese the better in my book! im thinking of adding some Ricotta cheese, has anyone done that?? I’ve made lasagna soup before and put a dollop of ricotta in the bottom of the bowl just before serving. Can you make this without the V8? I just never buy that and I don’t want to have a ton of V8 left over. It’s hard to find in small quantities. I BuY low sodium V8 in little cans that come in 6 packs just for cooking. they work fabulous and have an excellent shelf life. that way you aren’t opening up a big can or bottle of it for a little bit for a recipe. I use it all the time in tomato based casseroles and soups. Can the veggie meat be put in while frozen ? okay great !! Can’t wait to.make this for dinner tomorrow !! The hamburger goes in uncooked? Do you crumble it or just sort of throw in the whole lump of meat and it’ll ceumble while cooking…? I made this today….it’s cold and rainy outside and it was perfect! Loved it! Thank you for sharing. OMG.. Made this today, and it was FABULOUS! We made it with Quorn vegetarian crumbles, and while I did add some shredded cheddar jack at the end.. I think because this is a lasagna soup, next time (very very soon), I’ll add a dollop of ricotta! Maybe throw in a chopped bell pepper too… Yum, yum, yum. When I added the pasta, I added an extra 1/2 cup of the veggie broth, and it was perfect for us. Thank you for another fabulous recipe!! SO cool Sarah!!! Love the ricotta and bell pepper idea! can you put the hamburger in frozen or does it need to be thawed? I have never used frozen before. I think it should work. You just might need to adjust the cooking time 🙂 Hope that helps! Didn’t really see an answer. But I have the same question as a few others above..
Do u just throw in an uncooked lump of hamburger and it crumbles while cooking? Will the grease mess up the soup? Or just use very lean meat? Yes, the hamburger goes in uncooked. I would break it up a bit as you put it in 🙂 I always try to use lean meat when cooking. So if you can find it , go with that. Hope you love it Stacey! Thanks so much for the recipe! My husband and I loved it! I used turkey for the meat, and chicken broth instead of beef (bc that’s what I had) and it still turned out to be very yummy! Thanks again! WOW!!! This recipe is AMAZING! Absolutely delicious! I followed it to a tee and it turned out perfect! Thank you for sharing! Would love more of your recipes! Okay, so my family leaves the house at seven and gets home at five thirty. If I cooked it on low for 8 hours, the turned the crockpot on warm, and add the noodles when I got home and let them cook on low for 30 minutes, do you think that would work? Made this tonight and even my very picky 8 year old loved it! I used ground turkey instead of beef and I didn’t need to add the extra water when I added the noodles, there was plenty of liquid. 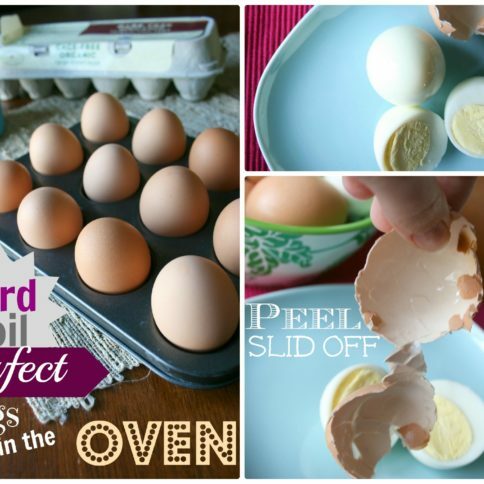 Great comfort food recipe! and in case you’re wondering…I put this recipe into the WW Recipe Builder and I calculate that it is about 5 points for a cup. I know what I’m taking for lunch tomorrow! Bonus! Is that for Points or Point Plus? That is awesome Jenn! Great idea adding mushrooms! Yummo 🙂 I love that idea. Can’t wait to try this one!! It is on the menu for Thursday night!!! This recipe sounds great. 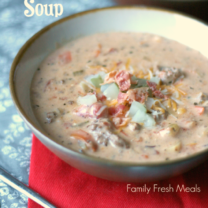 I would like to make it for a group of moms that swap prepped freezer meals once a month. I know I don’t want to freeze with the noodles in it so I have a quick question: should I cook completely and the have them heat on stove top (or some other suggestion) and cook noodles separately or just throw everything (except noodles) in bag raw and have them cook in crock as directed? Thank you. I love freezer meals. If it were me I would prep everything and just bag the uncooked pasta separately with instructions to add the pasta the last 30 minutes etc. I made this today, and it tastes pretty good, but mine is SO RUNNY! (I mean I do know it’s a soup…but still) It doesn’t look anything like your finished product. I feel like maybe 2 cups of shells wasn’t enough? I actually added cornstarch just to thicken it up. Next time I think I’d scale back the broth and the V8 AND forget the water for the noodles. Tastes good though, so that’s not a real complaint…just an observation. How’d yours turn out so thick?? I only have a 3 qt crockpot, do I just cut the recipe in half then? Yep 🙂 Hope you love it Renne! I have a silly question. Do you cook the beef before combining it, or do you add it raw? I am crocking this today , with a little variation . No canned tomatoes or beef broth. Just the bottle of V8 juice and tomato paste . I browned the hamburger first with onion and garlic and Italian seasoning . Gonna add cottage cheese and mozzarella to it . I made this the other night to keep in the fridge for lunches during the week. I highly recommend using the lean ground beef as you suggested (but didnt see until after the fact) since the grease will stay in the pot (my *duh* moment lol). I also think I let the shells cook a bit too long since they are rather mushy, but over I LOVED the soup, and its a fast easy way to keep a hearty lunch on hand to grab in the morning. Thank you so much for the recipe! YUMMY!! I did add cheese when I put in the pasta (I LOVE CHEESE)….i have enough leftovers for a lazy night of soup and sandwiches!! Thanks!! Can’t wait to try more of your recipes!! LOVED this soup! Thank you! My kids were all over it and said it tastes just like Lasagna. We topped it with pizza blend cheese. Found you on Pinterest … this looks amazing!! My family loves lasagne and this is an interesting twist to the traditional 9X13 casserole dish!! Can’t wait to try it … oh, and I pinned it, too!! Thank you, Corey! I saw this on Pinterest and made it last night for our family. SO GOOD. I love lasagna but it is is a time consuming process to make, esp. with a 3 year old and 9 month old running around. I was drawn to this recipe because it was in the crock pot and all the ingredients (or substitutions) were in my cupboard. Here’s a few changes I made solely based on my pantry and extra ease: Rotini noodles (in pantry), didn’t have V8 so I used a can of diced tomatoes with garlic and green peppers as well as a half cup of leftover pasta sauce that was nearing its end in our fridge :), I used a packet of onion soup mix because I didn’t feel like chopping an onion and I do love the flavor it gives to soup, I used ground turkey, 3 beef boullion cubes (in pantry), and italian seasoning instead of just the two spices mentioned. SO GOOD. We served it with shredded moz. cheese. Next time, I may stir in a little ricotta at the end with the pasta to make it extra creamy/lasagna like! I have book-marked this site and hope to make a bunch more of your things. I love the photos and the healthy, simple, “ingredients on hand” philosophy! THANK YOU! My wife made this the other day and it’s awful. Although she’s not much of a cook, this was the worst meal EVER. Why You wouldn’t brown the meat and season, I don’t know. Why not cook the pasta al dente then add at service, over cooked pasta ruins a dish. Fresh herbs migut help, maybe sugar to cut the acid in the tomatoes. Salt? Pepper? 1/4 tsp for a huge crock, take pride in what you do, or don’t do it. Thank you so much for stopping by. I am so sorry you didn’t enjoy these meal as much as everyone else. As I said in the comments, you can brown the meat if you are using a higher fat beef, but otherwise, I don’t think it is needed. 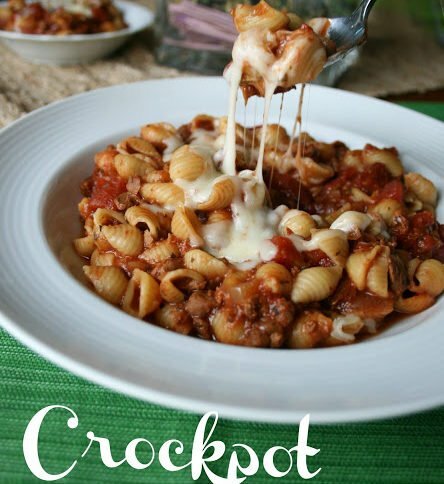 Yes, you can cook the pasta separate, so it would have the texture you like, but that defeats the purpose of a crockpot meal 🙂 My goal with the crockpot meals is to save time in the kitchen. I think that is a fantastic idea to add some fresh herbs. It sounds like this recipe would suite you better as a stove-top meal. Season and cook meat until brown, and then add to sauce mixture and simmer for on a low heat for an hour. Cook pasta separate, and mix together when ready to serve. Hope that helps! Hey, disappointed (spell it right), your comment “take pride in what you do, or don’t do it.” was unnecessary! If you don’t like the recipe, just state why. Clearly Corey takes GREAT pride in what she does…her posts include thorough photos and details. Pride is all I see on this blog. Corey, don’t listen to this hater. You rock! And your grace in your response is commendable! Bravo. Hey, disappointed (spell it right), your comment “take pride in what you do, or don’t do it.” was unnecessary! If you don’t like the recipe, just state why. Clearly Corey takes GREAT pride in what she does…her posts include thorough photos and details. Pride is all I see on this blog. Corey, don’t listen to this hater. You rock! Sorry you were disappointed! You said your wife is not much of a cook, so maybe she didn’t follow the recipe right. The soup is actually delicious! We ate it tonight, had company over, & they even asked for some more to take home! If you follow the recipe correctly, the soup is absolutely wonderful! Thank you, again, for sharing your recipe Corey! Not only do you have fabulous recipes, but you are a total classy lady! Bravo to you! Found this on Pinterest the other day and it is cold and rainy, perfect to make it for this type of weather. Family LOVED it and I will be making this again and again and again. I used ground turkey instead of beef also I added maybe a teaspoon of crush red chili flake in there to give it a little kick of heat. So delicious and easy. I love your idea using the chili flakes with turkey 🙂 I am totally doing to try that with our next batch! Just put this in crockpot, but didn’t read carefully and threw in the pasta, crap!!!! I did elboy macoroni, so maybe it is smaller and wont taste so horrible!!! is there anything I can substitute in for it instead? 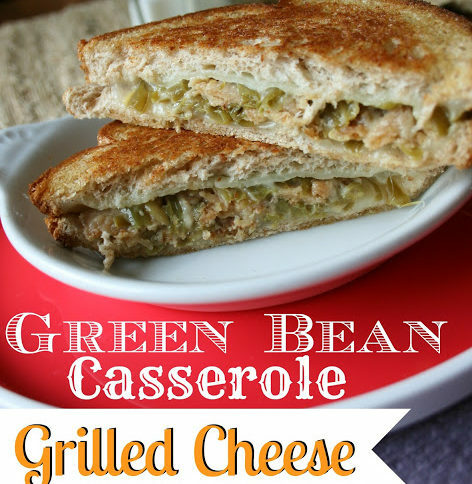 A friend of mine told me about this recipe on pinterest, found got the ingredients to make it this morning prepared it in the slow cooker and had it for lunch before the Daytona 500 came on…wow it turn out perfect, the taste had so much flavor! I would certainly make this again for friends! I have made this once before and have it in the crock pot again tonight. I changed a few things this time though…I used 1/2 lb. of ground chicken and 1/2 lb. of ground pork, oregano and thyme along with the basil and parsley. I also added green and red bell peppers. I’m torn between using tortellini instead of the pasta shells; haven’t quite decided yet. I think either would taste fine. Loved it the last time, so I’m sure it will be great again tonight. I chickened out and used the shell pasta, but I am certainly going to do it next time. The seasonings were great and using chicken and pork didn’t change the flavor or anything…pork is a little more lean and much less expensive as well. I’ll probably make this one more time before the cold weather is gone. Hahaha. Let me know when you do use the tortellini 🙂 That is great to know about the chicken and pork. I am looking to try this meal out since alot of great comments have been posted but I have one question.. your recipe states to cook on low for 7 to 8 hours what would happen if it cooked 10 hours? would anything need to be adjusted as far as the thickness goes?